We are delighted to announce that Scratch and Reveal (follow them on twitter @scratchnreveal) are sponsoring the FREE to enter RatingTheRaces NAP Competition for April! Who are Scratch and Reveal? Scratch and Reveal are racehorse owners who had a fantastic idea of hand designing posters for racegoers to record and remember your visits to different racecourses! Show off your posters to friends and families and scratch off those courses that you have been and see how quickly you can reveal all the courses across UK and Ireland!! We are delighted to announce that Newcastle Racecourse (follow them on twitter @NewcastleRaces) are sponsoring the FREE to enter RatingTheRaces NAP Competition! Thank you very much Max for this! Newcastle Racecourse – Home of the Northumberland Plate & Fighting Fifth! 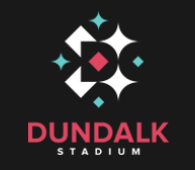 We are delighted to announce that Dundalk Racecourse (follow them on twitter @DundalkStadium) are sponsoring the FREE to enter RatingTheRaces NAP Competition! Shoutout to Jean for organising this! Dundalk is the only AW course in Ireland and often a course where Aidan O’Brien other top trainers run their horses on their first run back of the season to win a decent prize before going on to the even bigger races at Curragh, Epsom and Ascot etc! We are delighted to announce that Sam Thomas (follow him on twitter @S4MMY1984) are sponsoring the FREE to enter RatingTheRaces NAP Competition! Please do show him support by following him on twitter! Sam Thomas Racing – Gold Cup Winning Jockey on DENMAN! Sam Thomas is a former jockey who has now turned his hand to training and has agreed to sponsor our NAP Competition with a fantastic opportunity to be won! We are delighted to announce that @bgrsyndicates will be sponsoring the NAP Competition! Thank you very much to BG Racing Syndicates for sponsoring the NAP Competition! BG Racing Syndicates give you the chance to be a ‘proper’ owner with shares at 1% upwards. Unlike many racing clubs you are part of the team and your views and thoughts are listened to and appreciated! The aim of BG Racing Syndicates is for you to fully experience the excitement of horse racing ownership. We are delighted to announce that @NewburyRacing will be sponsoring the NAP Competition! Thank you very much to Newbury Racecourse (Thanks Emma!) for sponsoring the NAP Competition! Newbury Racecourse is a fantastic racecourse and is host to some of biggest races throughout the calendar year from the Ladbrokes Trophy Chase in November/December, Betfair Hurdle and Denman Chase in February to the Al Shaqab Lockinge Day with Ladies Day and Weatherbys Super Sprint in May and July respectively. A very fair track it attracts top quality horses time after time. We are delighted to announce that @UttoxeterRaces will be sponsoring the NAP Competition! Thank you very much to Uttoxeter Racecourse (Thanks Martha!) for sponsoring the NAP Competition! Uttoxeter Racecourse is the home of the Midlands Grand National which will be run this year on Saturday 16th March and we are very much looking forward to it. Hopefully you’ll all have won lots at Cheltenham by then and can use our ratings to help you find the winner of the Midlands National Grand National. We really recommend going to watch this race if you are nearby as it’s a great race! We are delighted to announce that @WarwickRaces will be sponsoring the NAP Competition! Thank you very much to Warwick Racecourse (Thanks Andre!) for sponsoring the NAP Competition! In May there is Ladies Night which is day 2 of the May Carnival so we hope to see more ladies in the NAP Competition and you can win tickets to this great day! As well as the racing there will also be the Fashion’s on the Field Best Dressed Competition and live music from a tribute act to Ariana Grande and Lady Gaga!